Martin Charles Scorsese was born on November 17, 1942, in New York City, to Italian-American parents Catherine (Cappa) and Charles Scorsese. He was raised in the neighborhood of Little Italy, which later provided the inspiration for several of his films. Scorsese earned a B.S. degree in film communications in 1964, followed by an M.A. in the same field in 1966 at New York University's School of Film. During this time, he made numerous prize-winning short films including The Big Shave (1968), and directed his first feature film, Who's That Knocking at My Door (1967). He served as assistant director and an editor of the documentary Woodstock (1970) and won critical and popular acclaim for Mean Streets (1973), which first paired him with actor and frequent collaborator Robert De Niro. In 1976, Scorsese's Taxi Driver (1976), also starring De Niro, was awarded the Palme d'Or at the Cannes Film Festival, and he followed that film with New York, New York (1977) and The Last Waltz (1978). Scorsese directed De Niro to an Oscar-winning performance as boxer Jake LaMotta in Raging Bull(1980), which received eight Academy Award nominations, including Best Picture and Best Director, and is hailed as one of the masterpieces of modern cinema. Scorsese went on to direct The Color of Money (1986), The Last Temptation of Christ (1988),Goodfellas (1990), Cape Fear (1991), The Age of Innocence (1993), Casino (1995), andKundun (1997), among other films. Commissioned by the British Film Institute to celebrate the 100th anniversary of the birth of cinema, Scorsese completed the four-hour documentary, A Personal Journey with Martin Scorsese Through American Movies(1995), co-directed by Michael Henry Wilson. His long-cherished project, Gangs of New York (2002), earned numerous critical honors, including a Golden Globe Award for Best Director; the Howard Hughes biopic The Aviator (2004) won five Academy Awards, in addition to the Golden Globe and BAFTA awards for Best Picture. Scorsese won his first Academy Award for Best Director forThe Departed (2006), which was also honored with the Director's Guild of America, Golden Globe, New York Film Critics, National Board of Review and Critic's Choice awards for Best Director, in addition to four Academy Awards, including Best Picture. Scorsese's documentary of the Rolling Stones in concert, Shine a Light (2008), followed, with the successful thriller Shutter Island (2010) two years later. Scorsese received his seventh Academy Award nomination for Best Director, as well as a Golden Globe win, for Hugo (2011), which went on to win five Academy Awards. Scorsese also serves as executive producer on HBO's series Boardwalk Empire (2010) for which he directed the pilot episode. 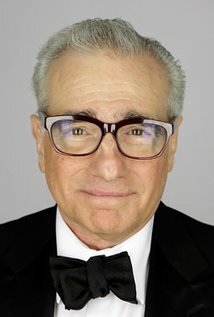 Scorsese's additional awards and honors include the Golden Lion from the Venice Film Festival (1995), the AFI Life Achievement Award (1997), the Honoree at the Film Society of Lincoln Center's 25th Gala Tribute (1998), the DGA Lifetime Achievement Award (2003), The Kennedy Center Honors (2007) and the HFPA Cecil B. DeMille Award (2010). With all that being said does Martin Scorsese need a bio at this point? Does anyone who reads this page need to be reminded how insanely perfect Goodfellas is? No, of course not. So why should I post this? Good question. I watched Wolf Of Wall Street earlier this week for an upcoming episode of War Machine Vs War Horse and I just can't get over how good it is. How it works on so many levels simultaneously. So in short remind yourself how luck we are to have his films.